As I’ve written before, I want to feature field trips to lovely places that feed my passion for all things design. My other half, the Dutchie, has an aunt and uncle who love old buildings. Instead of children they have old, restored buildings for babies and Bommel the medical miracle labrador (3 legs and 1 eye and she’s still a very happy hound indeed). I was lucky enough to get to see their latest baby, I mean building, Rusthoven this month. Rusthoven was built in 1686 the same year as the birth of Gabriel Daniel Fahrenheit, German inventor of the mercury thermometer. So it’s as old as Fahrenheit! How cool is that? 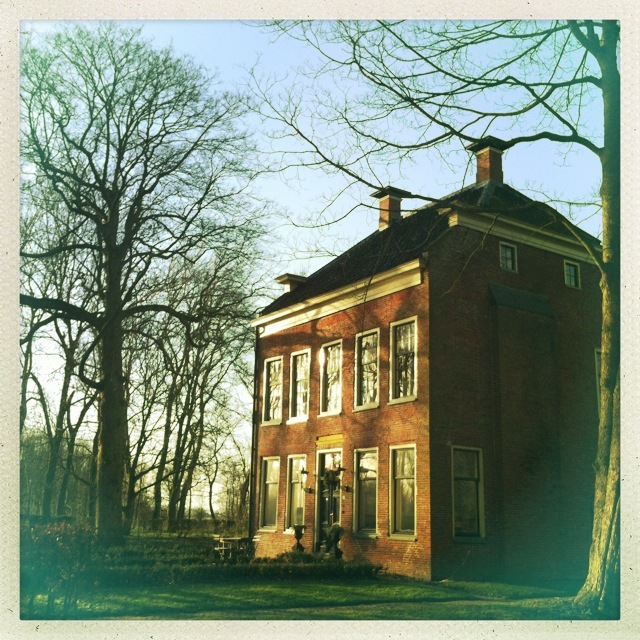 It gets better, for any trekkies out there, this type of Dutch manor house is called a Borg. Assimilate me now please! I would love to live in a house like this. If you look closely at the upper left hand window sills you can see how the house has settled over the years and there is a slight wiggle to brick work. Rusthoven is under active restoration at the moment, so I have only photographed a few of my favourite details. The world’s best small sink, a marble hand washing sink (sourced from Belgium) complete with antique fully restored tap. The light switches are Italian, I think Fontina is the brand. I will make it my mission to track these down. I have seen a matching ceramic ceiling rose for ceiling light fixtures in Ischia, Italy that was very similar to these. It was so pretty and old fashioned I seriously considered spending my holiday in Italy schlepping around Italian electrical supply stores. Back outside Rusthoven comes with a historic French style garden that has it’s own historical status and I cannot wait to see it in summer. The snake is not historical, but a handsome beast nonetheless. 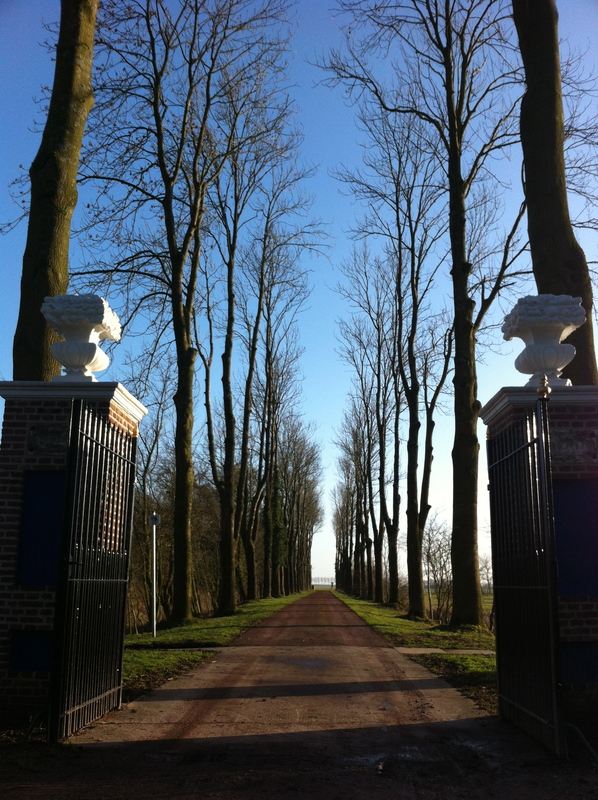 Now every good manor house needs a folly, fountain or some piece of gorgeousness outside. Rusthoven has a moat, but even better than a moat (I know what’s better than a moat, c’mon?) is the tea house. Of all the things at Rusthoven the tea house required the taking of the most photos. So here it is the tea house gallery. It has been fully restored and I think provides the perfect opportunity to start a teapot collection starting with Pip Studio and Blond Amsterdam two of my favourite brands when I’m in the Flatlands. Doei! Rusthoven see you soon. Wow! That looks amazing. I need those light switches. Thanks, EVERYONE needs those light switches, they are so pretty. This entry was posted on February 11, 2014 by The Sourcerist in Field Trip and tagged Borg, Flatlands, Rusthoven, Tea House.